As I look online, browse white papers, attend user group meetings, and fight my way through 2-3 conferences a year, I see the common theme. 2.) What this new functionality can do for your business. Then, inevitably, with the backing of Oracle name, corporations flock to the new solutions with promises of unsurpassed performance and ROI. 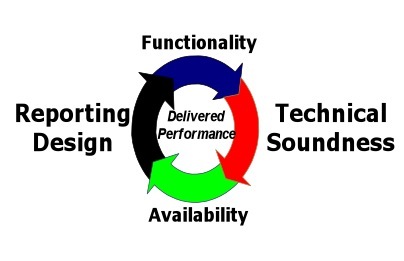 The focus is on functionality, delivery, and end results. They show research on how companies can perform, analyze, and enjoy competitive advantages. CEO’s, CIO’s, CFO’s eyes light up, drop a couple gazillion dollars and now own this great new enterprise application that will bring them freedom and successes. Great… but what about IT? Did anyone consider the poor system administrator? The answer is probably not. Chances are the CXO’s were so googly-eyed over the pretty charts and graphs they forgot that maybe we might need a hardware and software infrastructure to install, maintain, and support this application. It happened to me. Working at a major telecom company, I came in one morning with a stack of CDs on my chair that were labeled “Hyperion”. Having no idea what it was, I tossed them aside. Around three o’clock the same day, the director of fiance came to my desk and asked me if I had the software loaded yet. What???? If this has ever happened to you, you can understand my immediate desire to throw my badge in the trash and walk out forever. …especially financial corporate systems. Many times, software is ordered, purchased, and full project plans put together before ANY IT person is even in the loop. Then, they have to play serious catch up on the solution, learn it overnight, and try to meet the aggressive schedule some accountant made up. This often time leads to bad blood between Finance and IT. I have seen it so bad that in many instances Corporate fiance has to create their own Corporate Fiance IT department that is outside the normal corporate-wide IT group. That is where this blog comes in. This is my attempt to spread the message that proper IT involvement and design is just as important as the application functionality. In essence, equal focus must be placed in good solid functional design (i.e. efficient report creation and application development) as well as solid IT design to deliver a complete delivered enterprise. One without the other is destined for failure. Let’s remember… prior to System 9, the Hyperion suite of products was just that… a group of related, but separate applications that were duck-taped and bubble-gummed together to form a complete solution. But really what this meant was that there was no common look and feel, users had to know where to go to use each product, and there was no reliable single sign-on across the enterprise. So the complexity rested on the end users to know where to go and what to do. the IT side was relatively simple, as each application could be installed, configured, and even upgraded separately, as needed. System 9 was totally re-written. It has transformed from a collection of best-of-breed solutions to a complete enterprise. 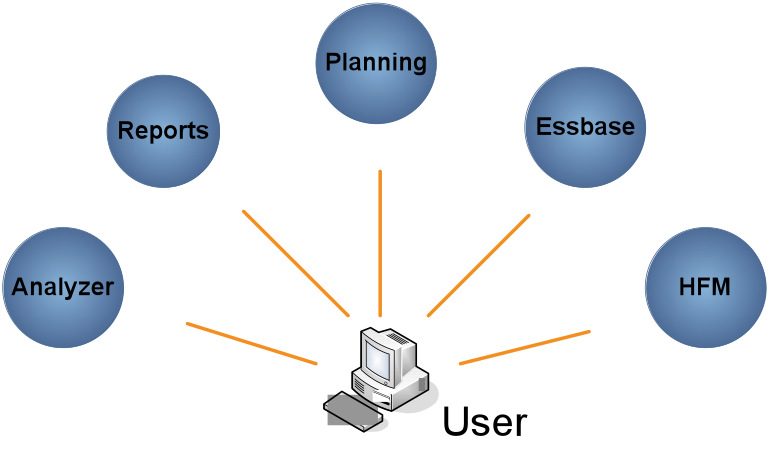 As with other enterprise Applications such as SAP or People Soft, System 9 and 11 has a common foundation architecture. 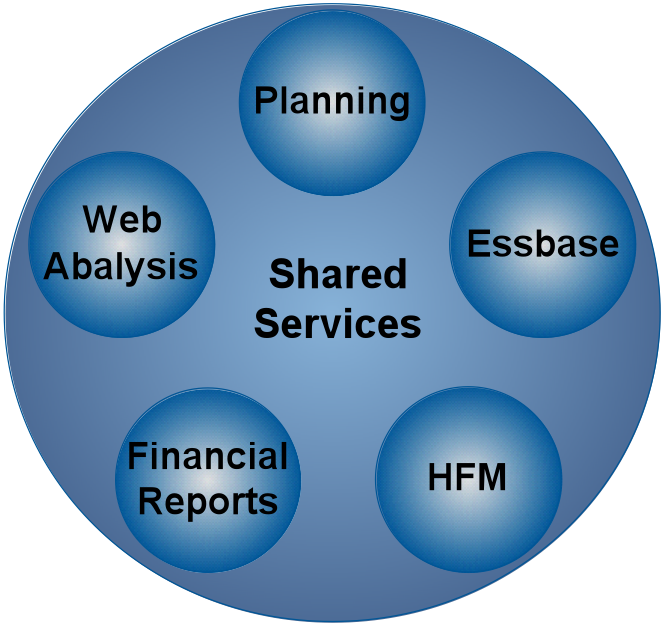 The “separate” products such as Planning, HFM, etc can be though of as modules like the HR or AP/AR modules of SAP Bassis. What this gives us is a common portal and look-and-feel for end users to access the entire suite and true single sign-on. However, it also moved the complexity from the end user IT. Just as laughable as it is for a CXO to hand a stack of SAP CDs to an unwitting IT tech and expect it to be installed overnight, so too is this. Just as there are dedicated IT System Admins that specialize in the administration of IT corporate databases, ERP, and CRM systems…we now have dedicated Hyperion System Admins. We now have a mature corporate mission critical offering that must be treated as such. Concepts like help desk integration, backup/restore, disaster recovery, high availability, on-call support, monitoring and ticketing systems all naturally come in to play now. I have seen it all. While you may or may not choose to hire our services, I will help as much as my time will allow to document periodic tips, tricks, and common issues that can help in the daily life of my System Administrator brethren.I am just getting started so please bear with me, but I promise I will do my best to keep this as active as I can. ~ by Eric Helmer on October 9, 2008.